This year, sadly, we must say goodbye to our beloved senior class and replace their old faces with new ones. 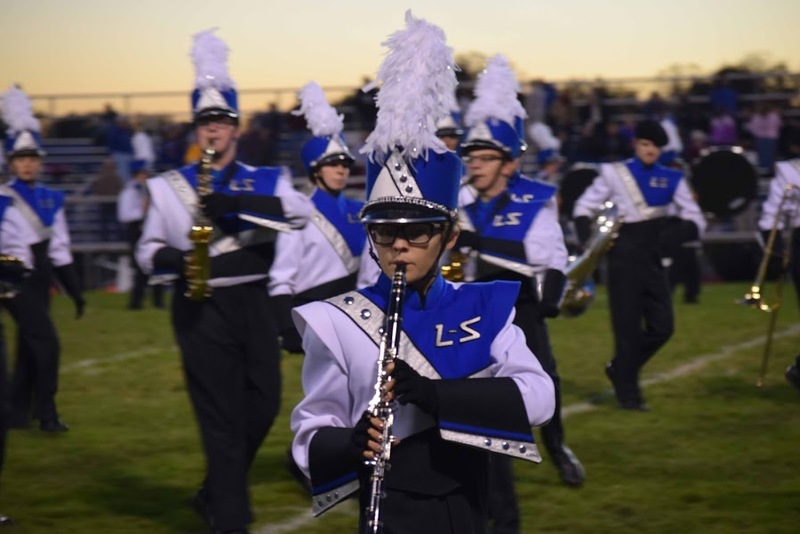 Nowhere was this more prevalent than the L-S Marching Band, which needed to fill the positions of three seniors who served as drum majors: Jarrod Lloyd, Megan Doolittle, and Ben Pontz. This year, the band will transition from three field conductors to two. In addition to these positions, the role of band president was renewed. Who would rise to the challenge and enter these demanding leadership positions that entail not only conducting the group in performances and rehearsals, but also a significant off-the-field leadership component? Only a thorough application process could reveal those select few ready for the commitment. 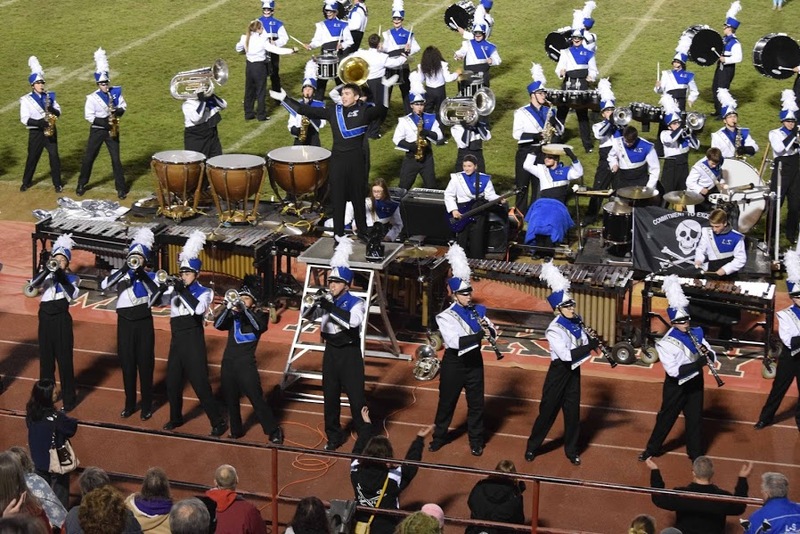 Mr. Larry Royer, the marching band director and director of bands from grades six to high school at L-S, was blown away by the number of candidates this year. In the past, the most he remembers is five, but that record was shattered this year when twelve individuals signed up to audition and ten completed the process the whole way through. Interested individuals had to complete a written application describing their potential, an interview with the band staff about why they would make good leaders, and finally, the most daunting section proved to be a conducting audition with the entire high school concert band. Out of the numerous participants gunning for the jobs, Mr. Royer announced three positions in a meeting with all of the candidates Tuesday. Bethany Bradford, junior, and Sean Burke, sophomore, will be the band’s new drum majors, and Mercedes Geiger, junior, will tackle the role of band president. 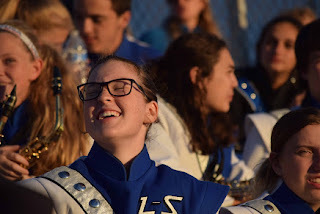 Bethany Bradford, who plays the piccolo and is a member of the color guard, feels that the role of drum major “is a whole new level and will be a challenge to say the least”, but she is confident that that she can handle it, and her peers also have faith in her ability to manage her duties. Despite the challenges, Bradford is “super excited” about the role and the opportunity to work alongside Sean and Mercedes. Geiger and Bradford have known each other since kindergarten, so they will work well together next year. Bradford has played the flute and the piccolo for almost eight years now, so she has plenty of experience with Mr. Royer and the school band. 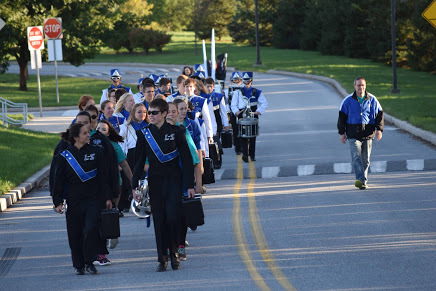 According to Bradford, drum majors “have a strong leadership role and help out whenever they can”. She plans to embrace these characteristics and face the challenge with a strong mindset. Mercedes Geiger also plans to help improve the ensemble in the role of band president. Last year, Ben Pontz held the role on top of being drum major, but the two roles are not synonymous. Geiger has decided to accept the role, even though she is not quite sure what to expect. In her own words, she says it was described to her as "basically the Ben Pontz position except no conducting." As the season approaches, she will learn more about exactly what her responsibilities will entail. Bradford and Burke both believe that Geiger will carry out her duties well, and Geiger feels that working with them will make the band more successful because “they are both my friends [and] we should work well together”. She has played the clarinet and is looking forward to starting marching band again, this time as band president. As for the previous leaders' opinions, Pontz dealt out ringing endorsements, which seems to be a strong indicator of the three’s prowess. 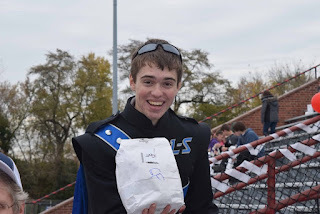 And even though the seniors must move on to bigger and better opportunities, they feel safe knowing that the band is in the capable hands of these three remarkable students.